Kyiv National University of Technologies and Design (Київський технологічний інститут легкої промисловості; Kyivskyi tekhnolohichnyi instytut lehkoi promyslovosti). An institution of higher learning in Kyiv. It was formed in 1930 as the Kyiv Technological Institute of Light Industry out of certain departments of several technical institutes. 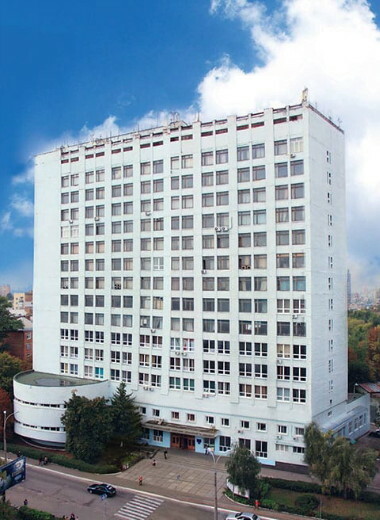 In 1993 it was renamed as the State Academy of Light Industry of Ukraine, and in 1999 it was reorganized into the Kyiv State University of Technologies and Design. In 2001 it was granted a national university status and assumed its current name. The university consists of seven faculties (fashion industry; computer technologies; design; chemical and biopharmaceutical technologies; economy and business; marketing and information technologies; law and entrepreneurship) and two research institutes. The enrollment is approximately 15,000 students.